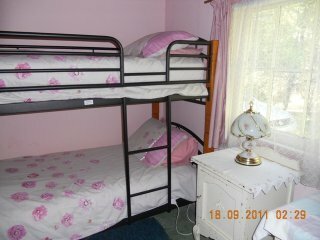 – for availability and costs per night- reasonable rates – sleeps up to 9 persons. 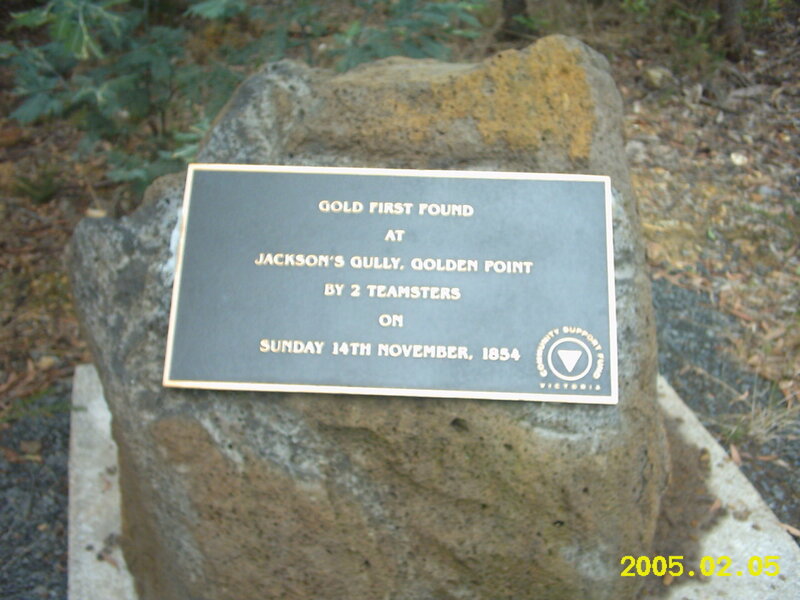 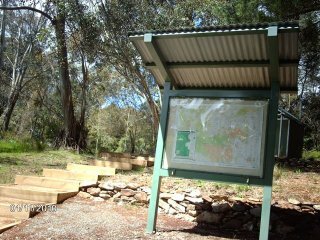 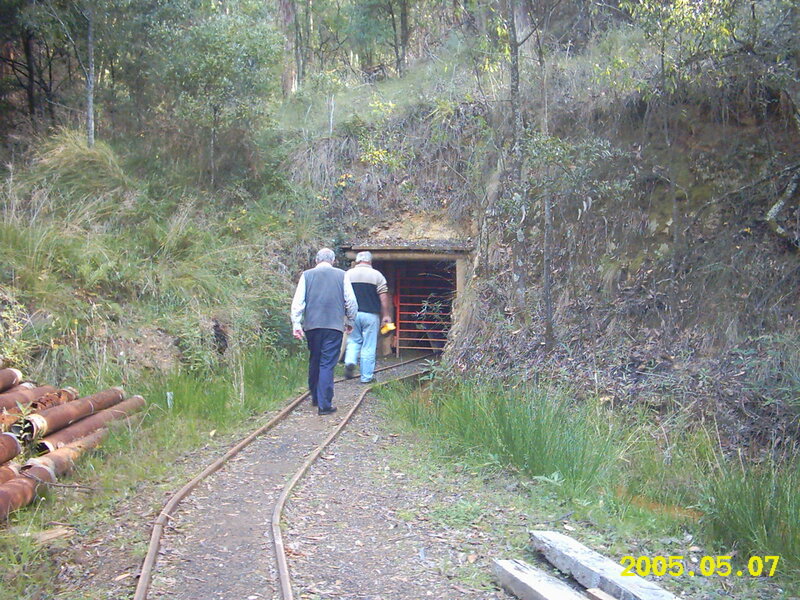 Mountains, Bushlands, wild life, and Mineral Springs await you in the Wombat State Forest, and Lerderderg River area of Blackwood, Victoria..
“Wannawong” is situated within walking distance of the Blackwood Hotel, General Store, Lerderderg River and the Blackwood Mineral Springs and BBQ area, and the Garden of St Erth, and Blackwood Sports Ground. 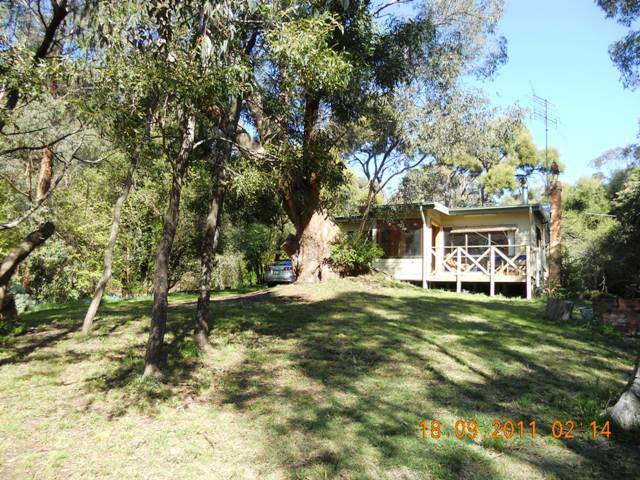 This three bedroom holiday house is set on 3/4 acre of native and Blackwood trees and plants. 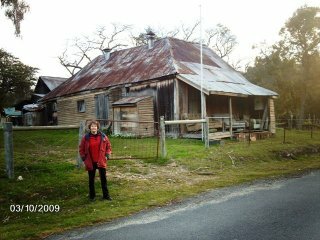 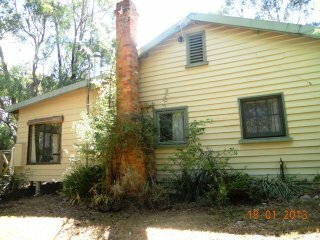 The house was built for the owner’s grandfather in 1929, out of timber from the Barrys Reef school which was built in 1876. House has been renovated and modernised with all modern facilities and upgrades. 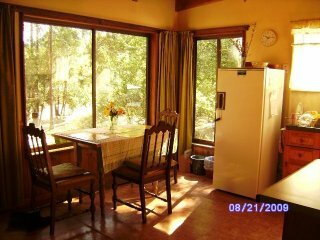 The house has an added modern lounge room with a combustion wood heater, and kitchen across the front of the house which faces north with views. 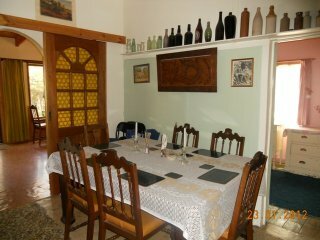 It also had a separate dining room and living area. 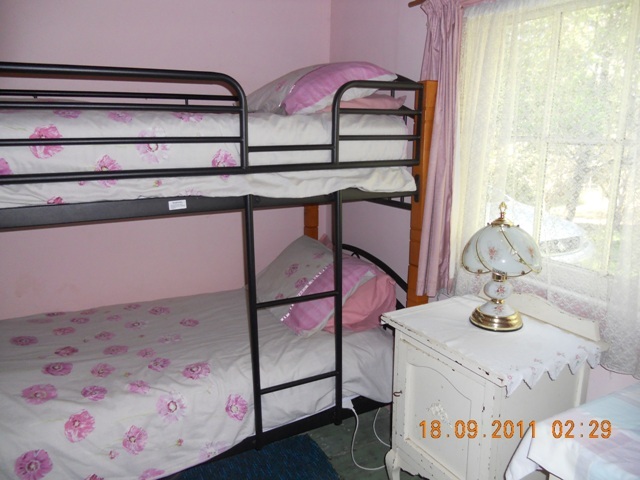 The three bedrooms have two double beds, a bunk bed and one single bed, plus a bed settee and trundle bed accommodating up to nine people comfortably. 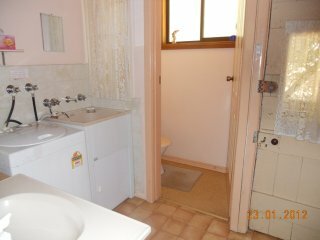 There is a modern bathroom, toilet, laundry, and separate shower. 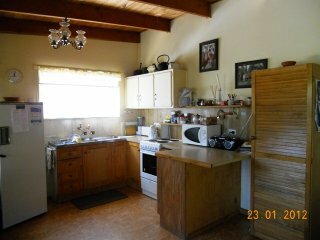 The kitchen is fully self-contained with electric stove and microwave. 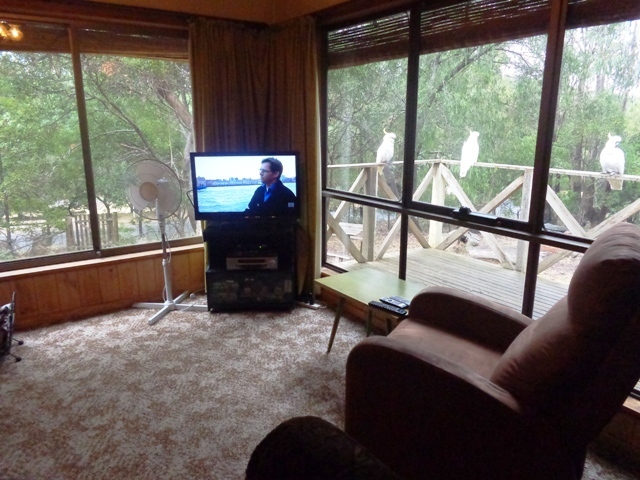 There is a CD player and radio, also TV with set-top box tuned in to many TV stations and DVD player. 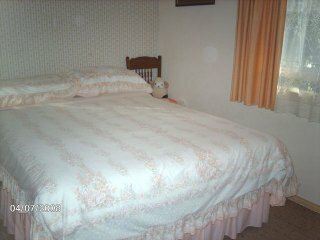 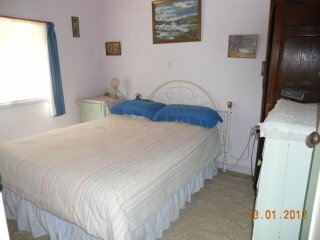 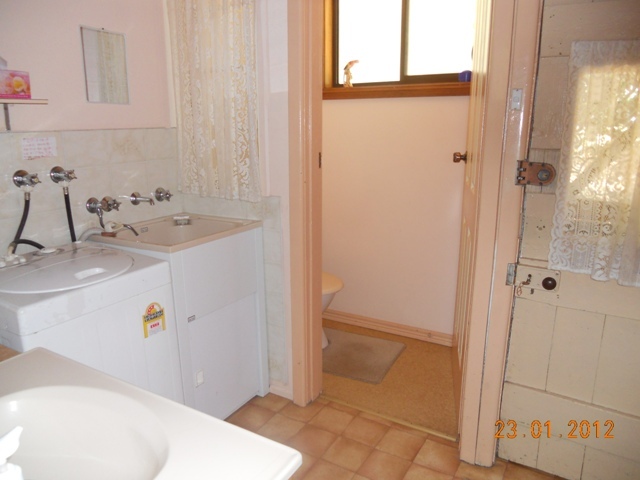 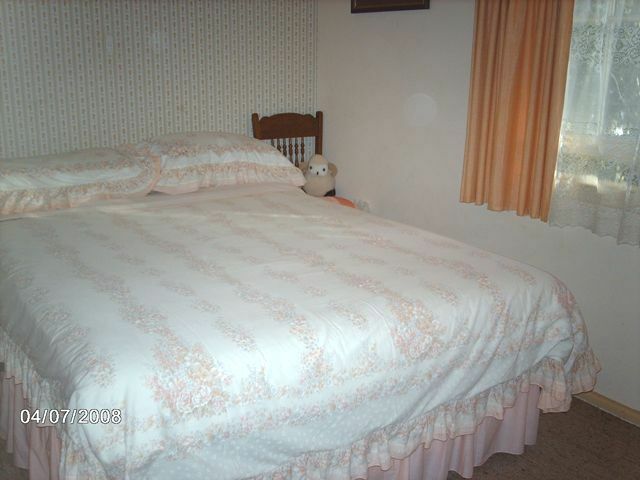 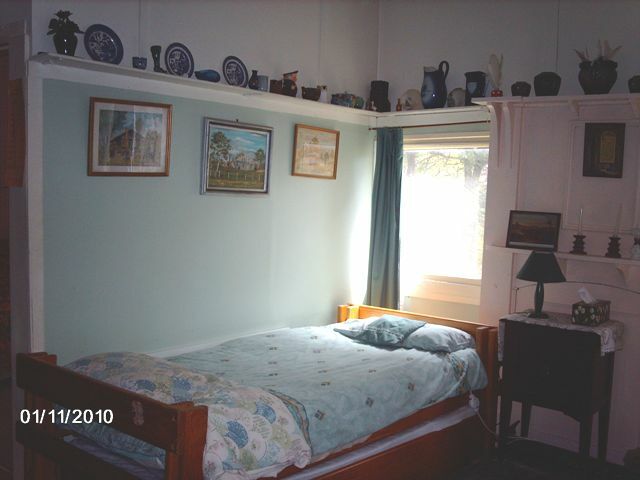 You just need to bring your own linen – doona’s and blankets and pillows provided. 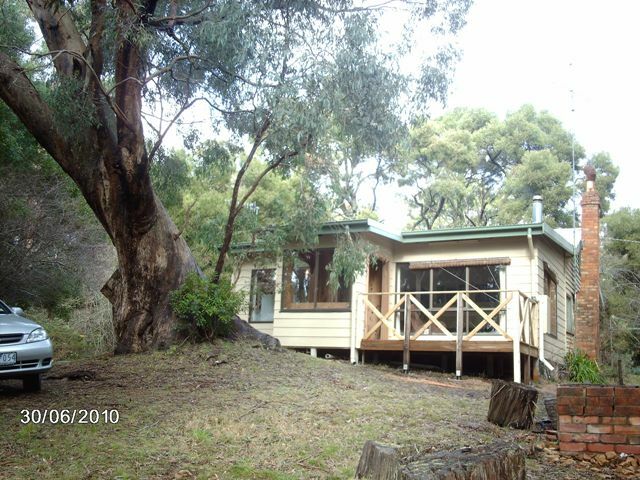 BBQ outside and seating around BBQ and front porch for your leisure. 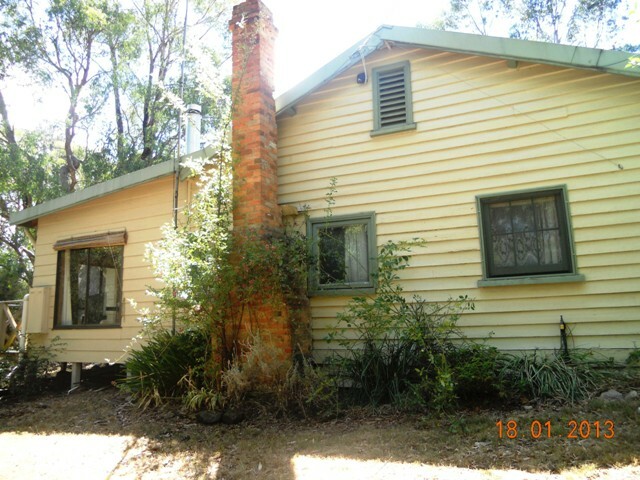 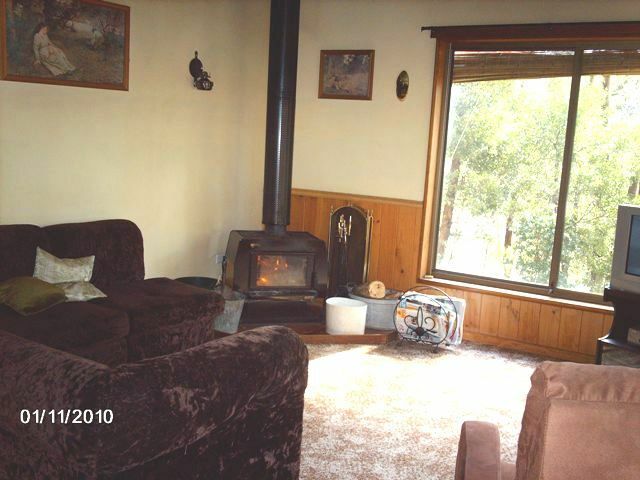 Local firewood for Wood heater in lounge room provided in woodbox on front verandah, and wood tank. 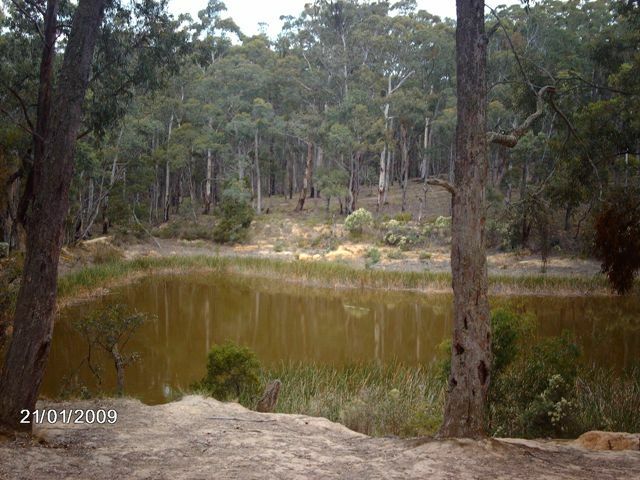 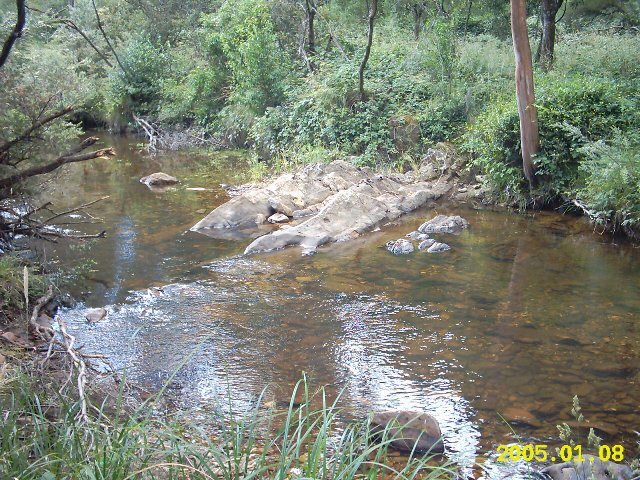 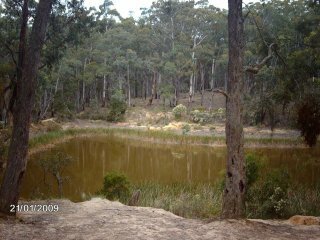 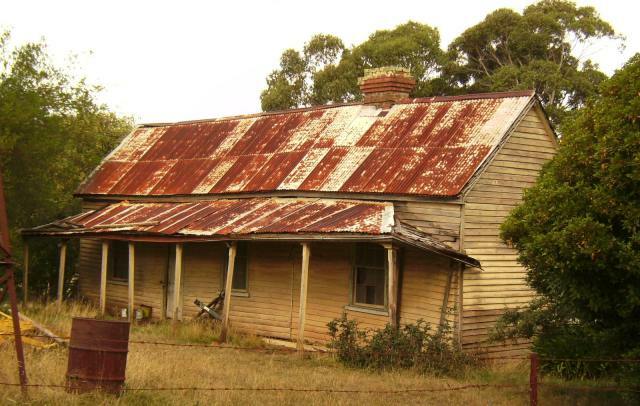 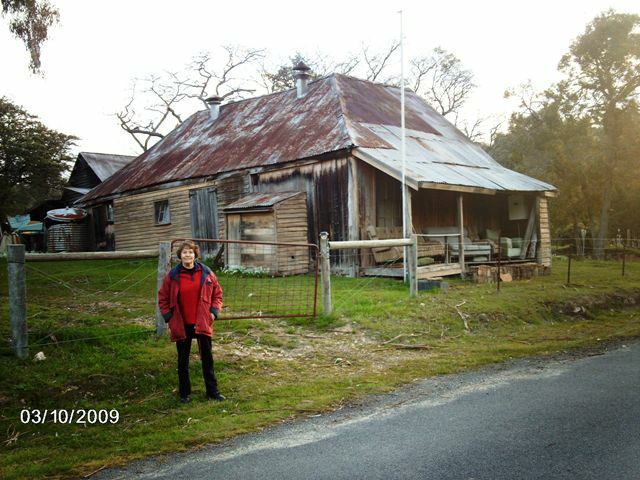 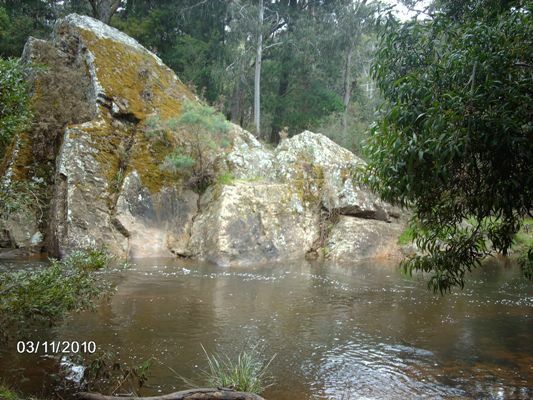 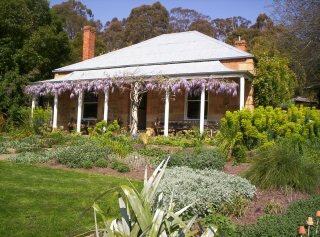 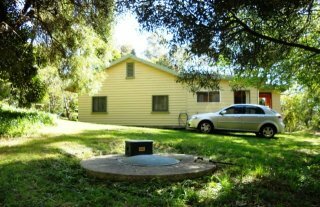 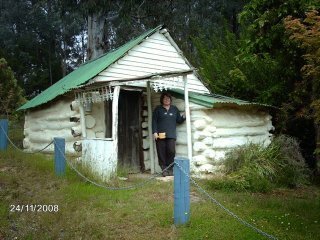 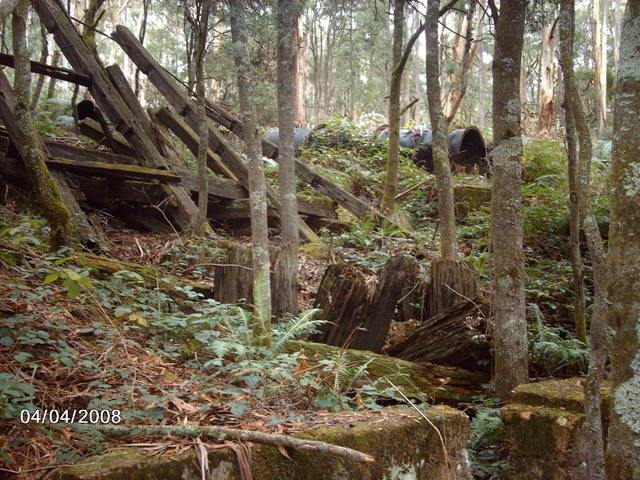 Mountains, Bushwalks, historic buildings, wild life, and Mineral Springs await you in the Wombat State Forest, and Lerderderg River area of Blackwood, Victoria.. 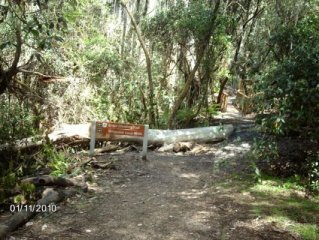 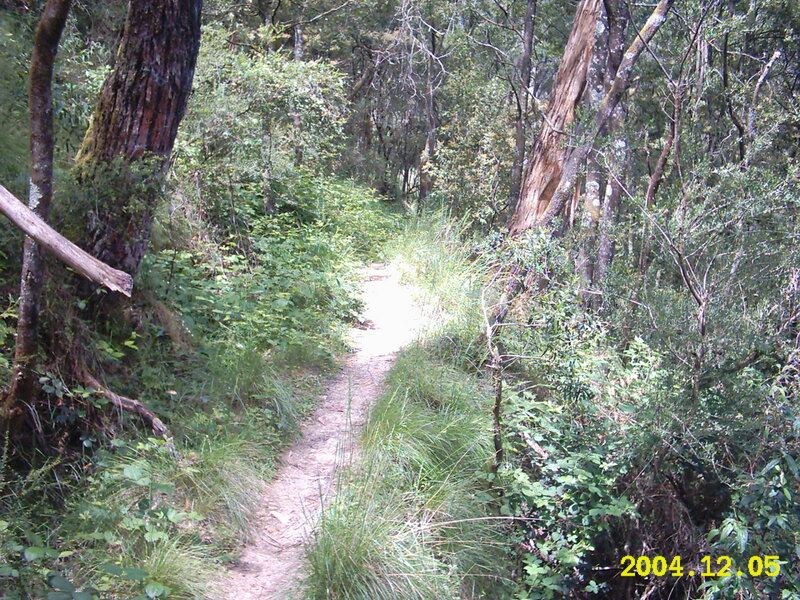 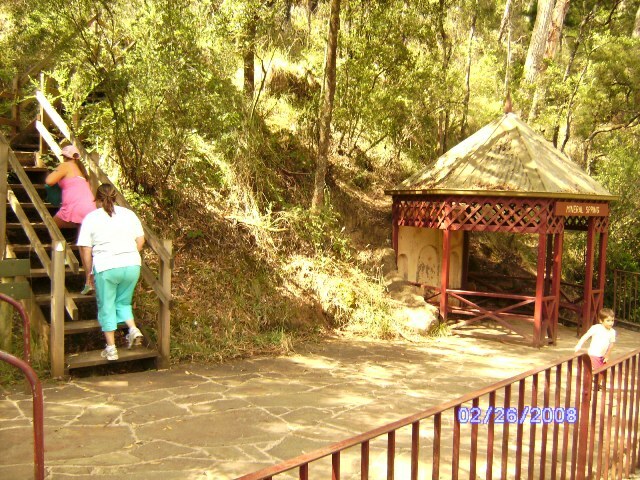 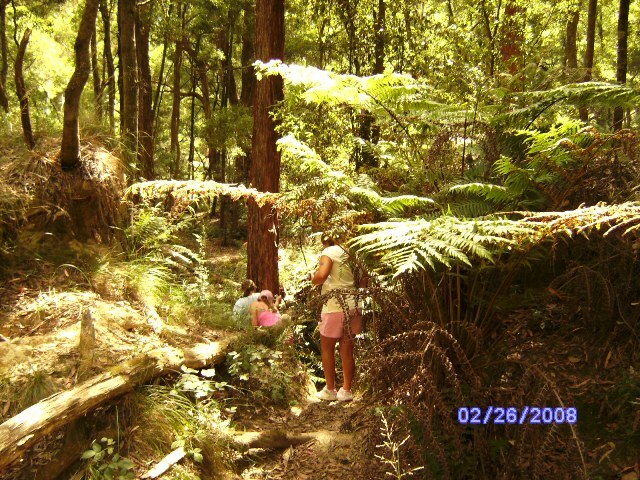 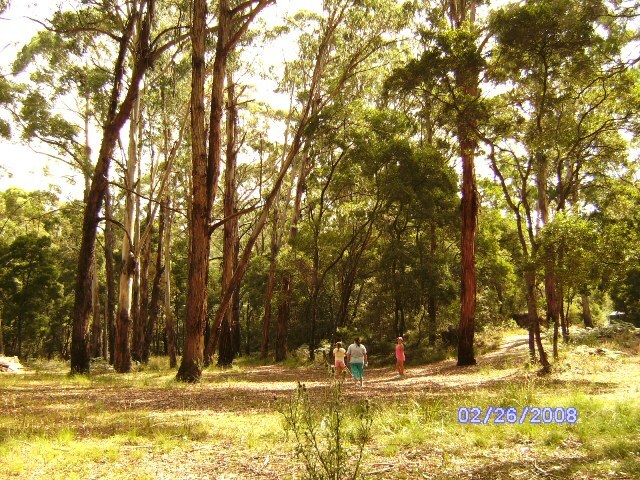 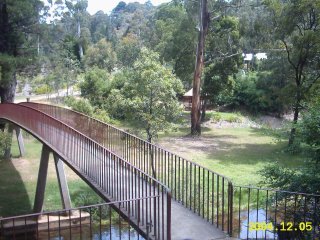 There are lots of nice bush walks in and around Blackwood – This one is from the Caravan Park starting at the Mineral Springs and following the old water-race thru the fern gully and down to cross over the creek. 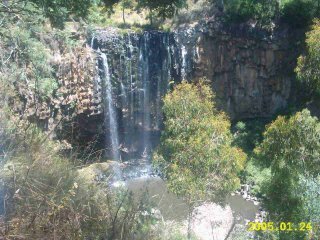 Trentham Waterfall, Trentham. 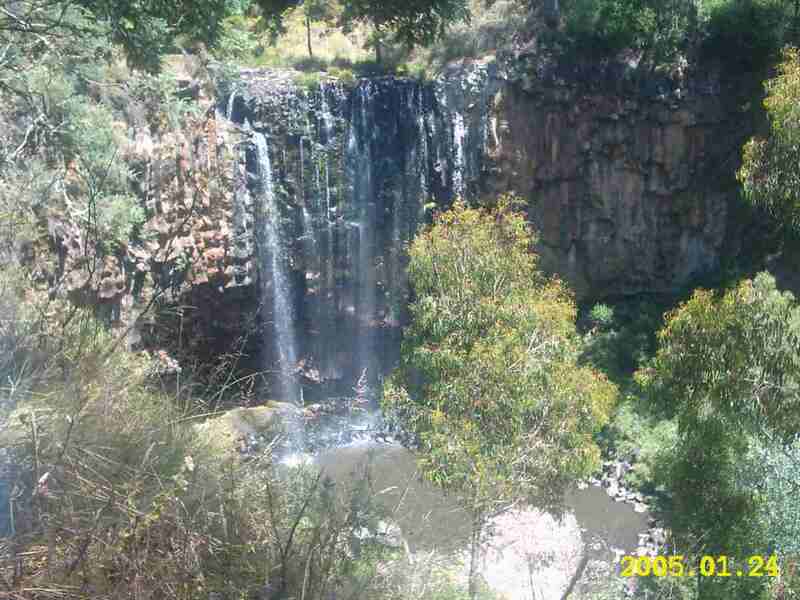 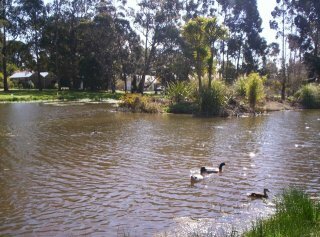 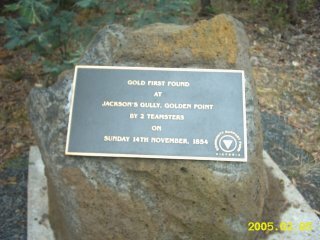 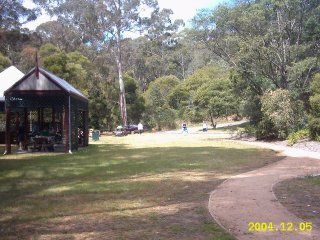 (click to enlarge) A short drive to Trentham Waterfall and picnic area. 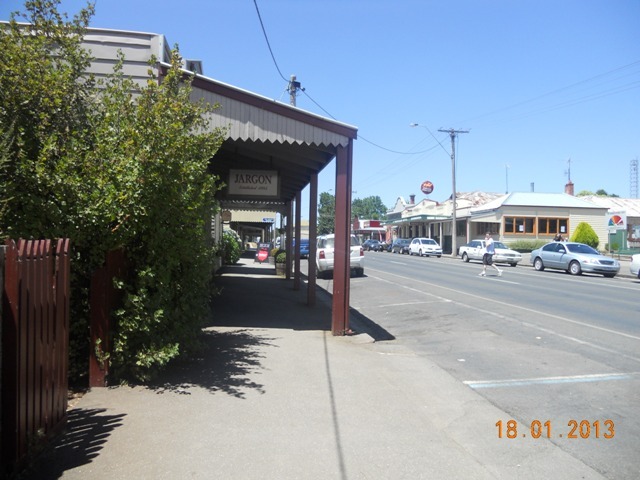 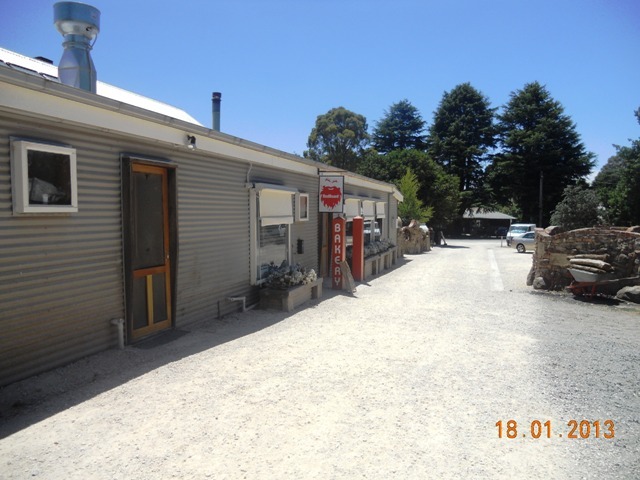 Trentham has Hotels, Bakeries and Supermarket and stores along with craft shops and a Market. 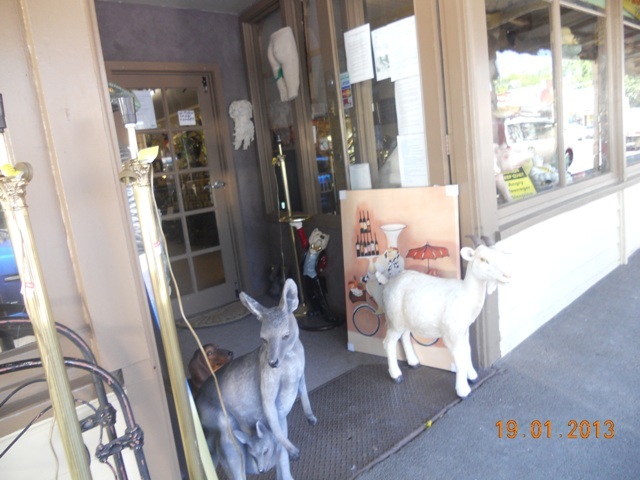 Craft and Antique stores, Trentham. 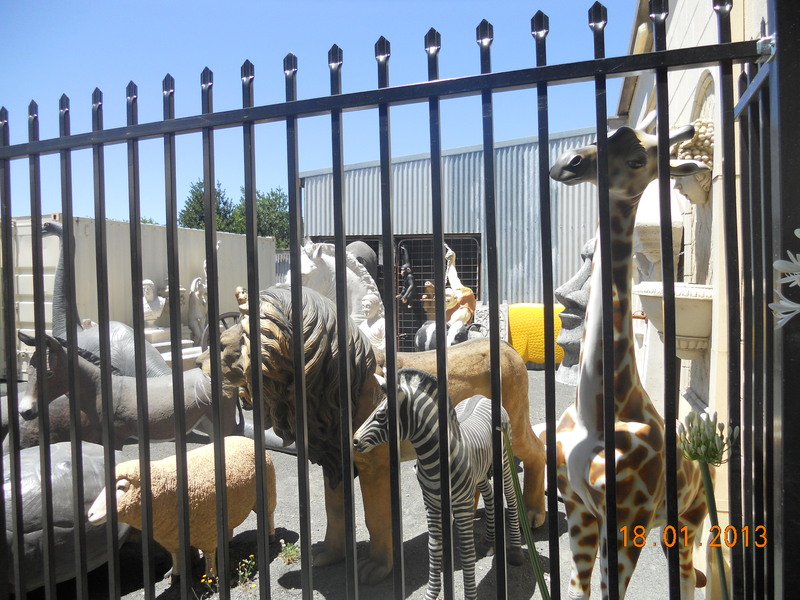 Models of animals in zoo opposite Red Beard Bakery down side street. 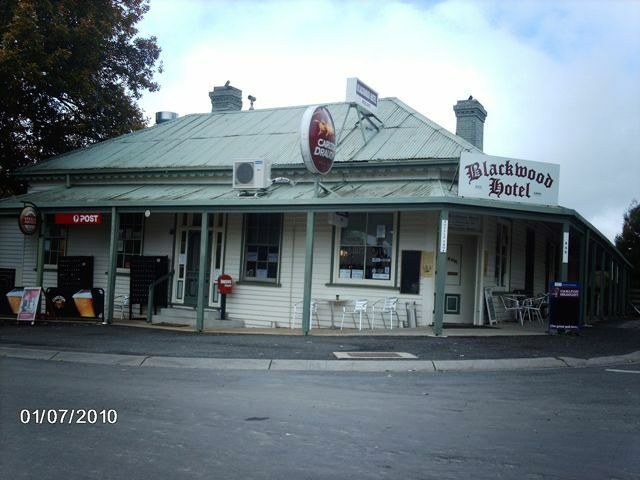 Red Beard Bakery down side street, Trentham..
Blackwood has now the added facilities of Mobile coverage with Telstra. 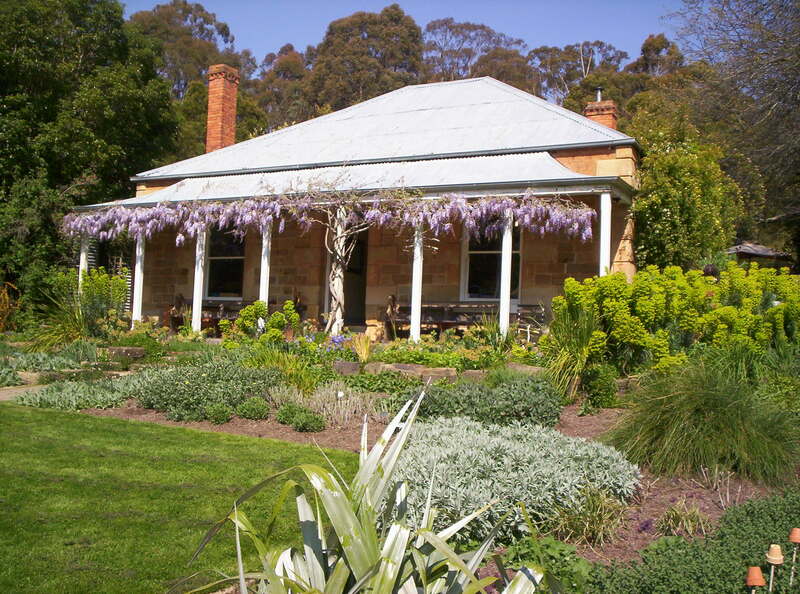 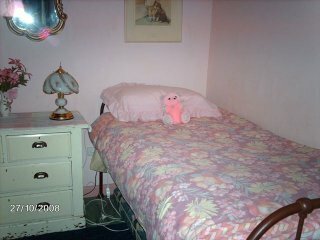 For further Renting Information contact – Margot Hitchcock, – margothitchcock@bigpond.com.